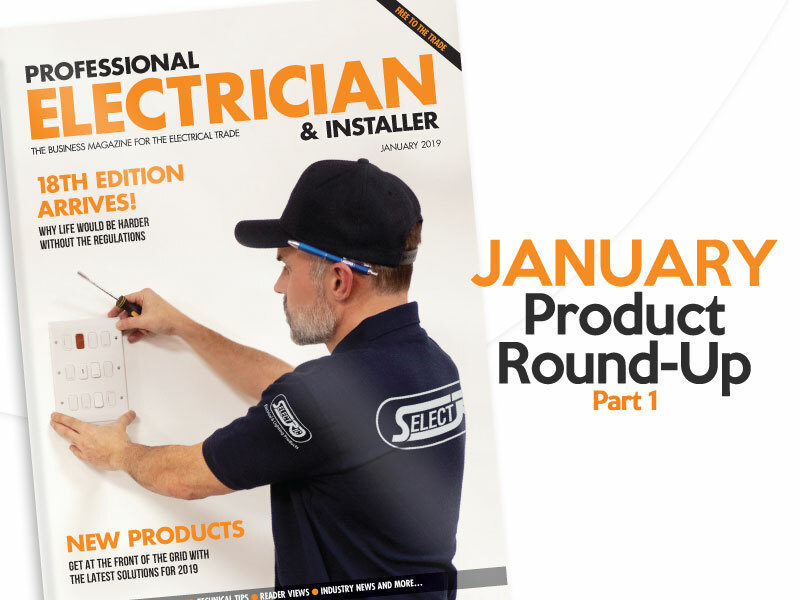 See part one of our January round-up of products, including power tools, workwear, LED lighting solutions and more, brought to you by some of your favourite brands. Top athletes have long enjoyed the benefits of performance wear – now professional craftsmen and women can too with Snickers Workwear’s new range of high-performance winter jackets. 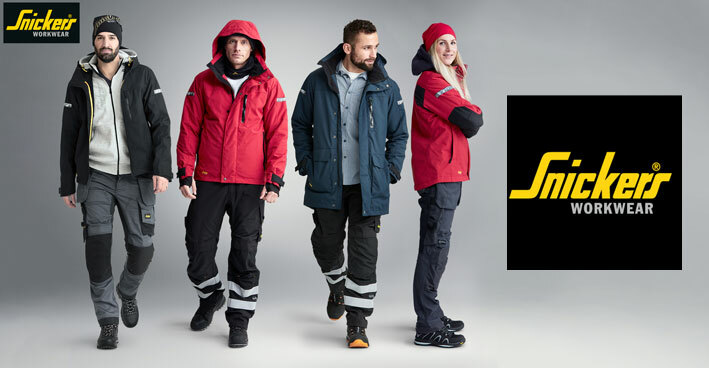 There’s a selection of super–lightweight 37.5 jackets, windproof shell jackets, hi-vis and waterproof jackets plus Parkas that all have the features and functionality that you’d expect. They’re great looking garments that will keep you looking and feeling comfy wherever you are and whatever you’re doing at work in cold weather. With street-smart, contemporary designs, the ALLroundWork garments are packed with must-have features that focus on fit, comfort and freedom of movement as well as using innovative fabrics that deliver long lasting protection. 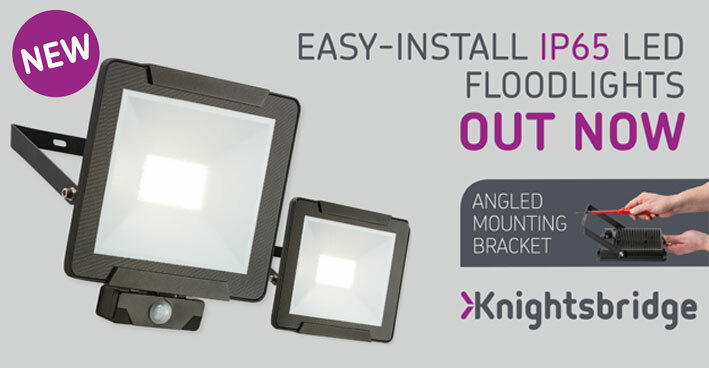 Exclusive to Knightsbridge, these new IP65 LED floodlights are designed for quick, easy installations. With an angled mounting bracket eliminating the need for bracket removal and an internal junction box enabling installers to wire directly into the fixture without the need for external connections and boxes. The floodlights are manufactured from die-cast aluminium with anti-glare facia while the driver-on-board SMD LED technology provides instant ignition and a high lumen output. These products are ideal for domestic or commercial installations and include models with IP65 rated PIR sensors with a manual override function. New battery technologies, combined with highly efficient brushless motors are driving the move to cordless. Together they offer more power and durability than ever before offering users like that they can take cordless tools anywhere, because of their compact and lightweight size. 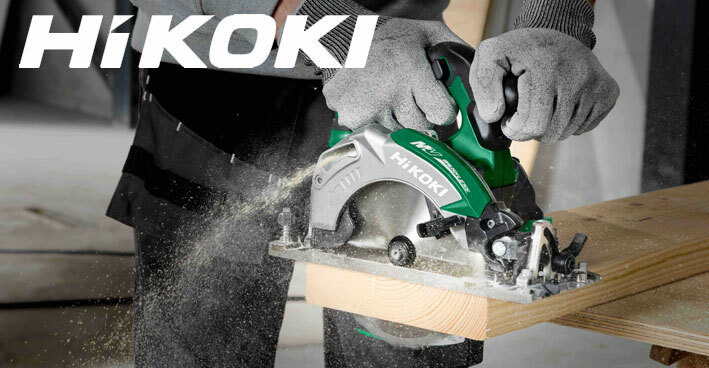 HiKOKI Power Tools’ latest cordless innovation is the Multi Volt. The new Multi Volt 36V battery packs have more power than similar sized 18V battery packs – but dimensions and weight remain almost the same, meaning the Multi Volt battery packs can be used with a wide range of 18V class devices. 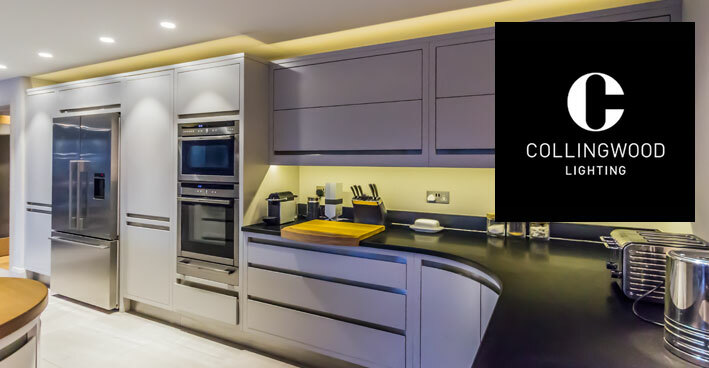 Colour temperature can also have a massive effect on the atmosphere of a space, from the warmest and cosiest 2700K, through daylight 4000K to a cool 6500K – and all are possible with the Collingwood LED strip range. Every installation is unique and whatever the desired effect, there is an LED strip for it. Once you have narrowed down the wattage, colour temperature and IP rating you need, the Collingwood LED strip guide will lead you to the perfect light for the job. 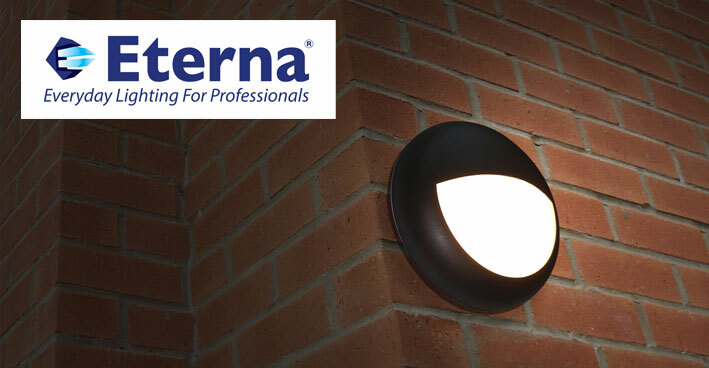 New to Eterna Lighting’s LED bulkhead range is Chameleon – a circular modular LED fitting. The flexible range offers multiple functions and trim options suitable for functional and decorative applications and a choice of 12 and 18W LED fittings. The 18W fitting is Colour Selectable, rated as A+ for Energy Efficiency and also IP65. The fitting is available in five functions: Standard, Emergency, Microwave Sensor, Microwave & Emergency, and Photocell. The Colour Selectable feature offers three colour temperatures; 3100K, 4200K and 6400K with a respective lumen output of 1580, 1640, and 1600. The 18W Chameleon fitting is offered under the EternaPro product range which is supported by a five-year warranty. Another great benefit of the Chameleon range is the choice polycarbonate trims which are applicable to all models and functions (except the Photocell function). The options are: full trim (in a choice of colours), eyelid and grill (both available in black or white). In addition to the choice of trims, Chameleon also includes a separate polycarbonate Prismatic Diffuser as an option. To aid easy installation the LED gear tray is hinged; the base has four 20mm side entry options, as well as a central BESA box mounting option. For the wiring there is also a handy push fit terminal block on the gear tray. Previous : LED retrofit SOX range won’t keep the birds awake!